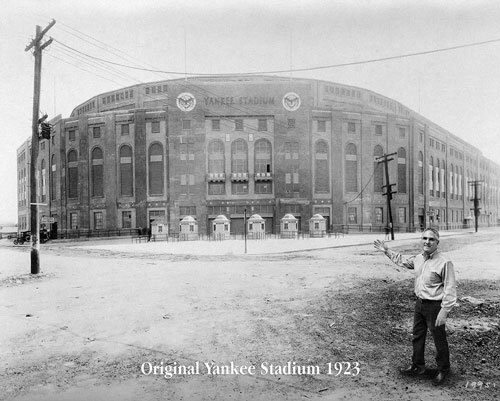 Add yourself or someone you know to the original New York Yankee stadium - just like you were there in 1923! Email us your photo (see below). We will work with you to make sure you are satisfied with the final photo. Once you give your final approval you will recieve a PayPal invoice via email. Once your payment has cleared we will ship your personalized photo. Email a copy of your photo using the tips above and any additional questions to the email below and we will make it look like you are right in front of the original Yankee Stadium. Also, let us know if you want the subject in B & W or in Color. Shipping & Handling not included. Tax will be added for Florida residents. © 2005-2019 YankeePhotos.com, Cross Products. All rights reserved.